Can you move to New Zealand? Will your application meet Immigration New Zealand’s criteria? Does your occupation feature on a Skills In Demand list? Remove the uncertainty and get total peace of mind with licensed New Zealand immigration consultants and a money back guarantee. Because we understand that every person or every family has different situations, our team of expert immigration advisors is dedicated to help you make your move towards your new life in New Zealand an amazing, stress-free experience. Let us help you achieve your goal by taking care of the New Zealand immigration process. Our eligibility assessment helps us understand your situation and your needs better. WHY TAKE AN ELIGIBILITY ASSESSMENT? You will be assigned a personal licensed advisor to assess your eligibility to move to New Zealand, and provide you with a roadmap to success containing which New Zealand visas you qualify for and how to achieve your goal of a new life in New Zealand. Not only this, but you also gain access to SmartMove, full of valuable tools and information. As soon as you know you’re eligible, you can access our approved job vacancies and useful guides such as how to write your CV for the New Zealand job market. Have any questions or queries? Contact our team of immigration advisors for more information. One of the most popular New Zealand residence visa categories is based on an Expression Of Interest (EOI) for a resident visa under the Skilled Migrant Category. In this points system, our Licensed Advisers will assess whether you meet the requirements. You can claim points for your qualification, work experience, English language, or skilled employment, and you may be able to claim enough points to be Invited To Apply for residence (ITA). For most people, this means finding a job with a New Zealand employer, but we can help with this too! 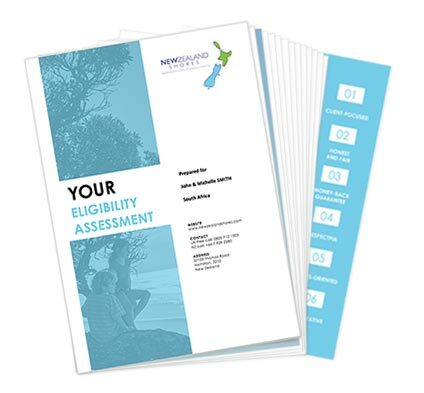 If you do not immediately qualify for residence under the SMC of if you are only interested in temporary options, our assessment will also include alternative pathways that allow you to work in New Zealand, Essentials Skills Work Visa, Work To Residence visa, Working Holiday Visa or other temporary visa options.